Meerkat Garden Statue Outdoor Sculpture. 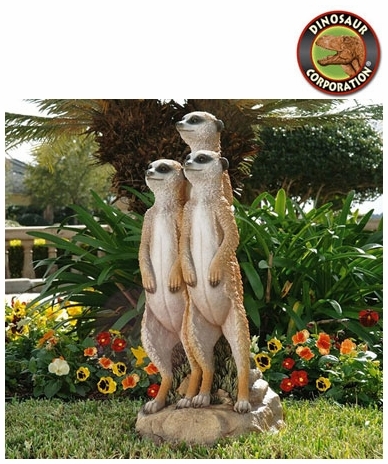 This gang of meerkats were sculpted at over two feet tall, from their characteristic meerkat sentry stance to their long thin tails, this charming meerkat statue is sure to turn heads in your home or garden! This fun-loving work of decorative art is sculpted 360-degrees. * Size: 11" W x 11�" D x 26" H.